QR codes were cool till a time and now these codes are actually becoming a big problem for both Android and iOS users. In case of Androids the problem is in the form of a malware and for iOS users, this problem appears in the form of bugs. You might be wondering that how can a QR code become a problem for both users. 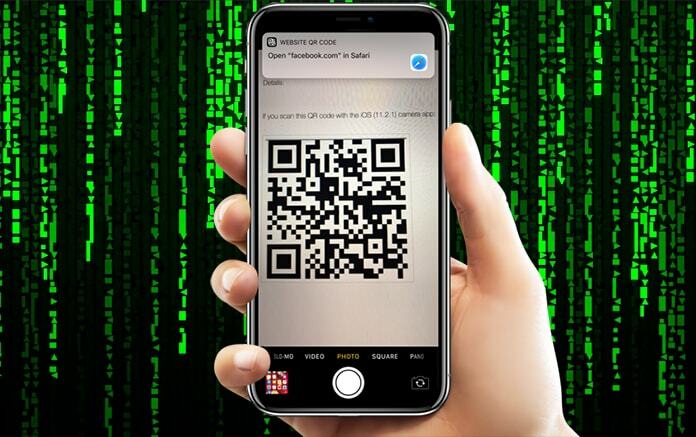 Well, basically it was recently discovered by SophosLabs that some malware infected apps were living in the Google play store in the name or QR code scanners and compass apps. However, this is not the first case that people were fooled by these malwares infected applications but again, something had to be done because these apps were taking over the Android programming library by bypassing the Googles filtering system. The worst part is that once you download them, they don’t show you their intentions for the first 6 hours but after those 6 hours pass, your device will start having an array of advertisement which is going to annoy you a lot. Google removed these malware QR code apps but we think it was too late to do that because already almost 500,000 users had downloaded them and fallen victim to the malware. Now in case of the iOS users, the problem is worse because here the bug is pushed into the phone by the iOS 11 camera app and this flaw was discovered recently by Romand Muller. 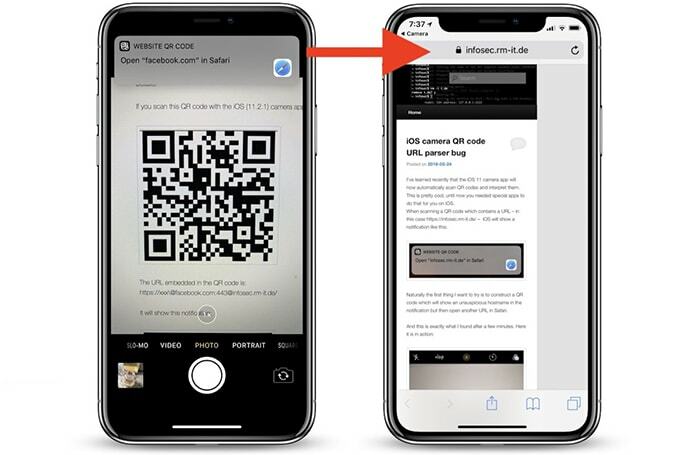 What actually happens is that a malicious link is embedded inside the QR code scanner and for example when it is scanned by an iPhone, the QR code displays a link that you have to visit, such as Facebook.com via Safari browser. Now when the user taps on this link, he is directed to some other malicious website instead of the one that has been mentioned and this is how the iPhone falls victim to the bug. Muller notified Apple about this issue in the year 2017 but yet there has nothing been done and this problem is there even with the iOS 11.3 update. This issue can actually trick a lot of users to download the malicious applications and it can also make the users fall victim to scam websites. So, the need of the hour is that just like Google, Apple also needs to take measures and get rid of these bugs as soon as possible.